I can usually tell if I’ve picked the right movie by the previews they screen. I apply a similar philosophy to the shows I see. A quick scan of the crowd and I can tell whether or not I’m in the right place. Based on the sea of plaid shirts and scarves I saw last night at the South San Gabriel/Centro-Matic line up at The Rickshaw Stop, I knew I was in good hands. Will Johnson is the prolific singer/songwriter and front man to both South San Gabriel and Centro-Matic. And what a pleasure it was to see both the soft side and the electric side of this man in one evening. The band has recently released a double album called Dual Hawks. Centro-Matic is featured on disc one and South San Gabriel, the band’s softer side, is on disc two. The two bands are comprised of essentially the same members, aside from a few extra friends – and a pedal guitar – for South San Gabriel. And I am such a sucker for the pedal steel guitar. Here’s a taste of the two bands for you. 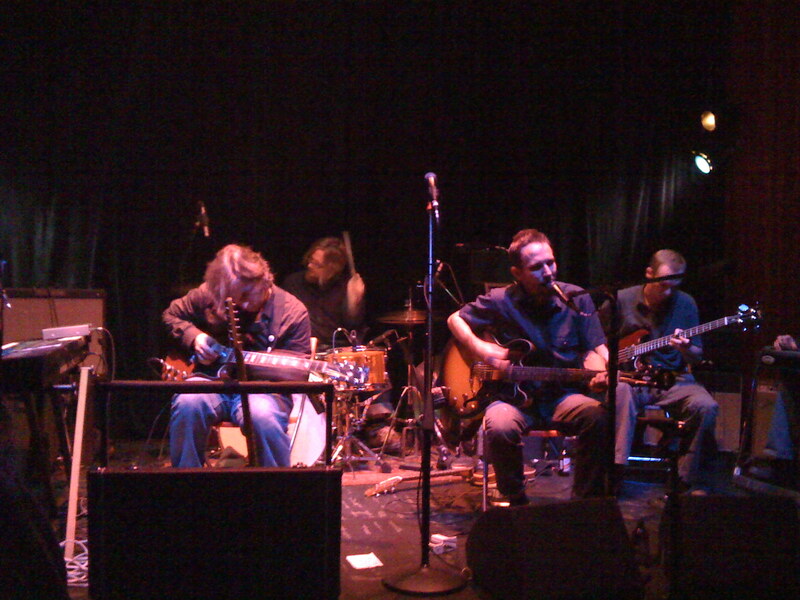 This entry was posted in Shows and tagged centro-matic, concert review, dual hawks, south san gabriel, the rickshaw stop, trust to lose, will johnson. Bookmark the permalink. I was wondering how that show would be–Centro-matic was good at SxSW a few months back, but I’d never seen South San Gabriel. Yesterday was a busy day for music in SF: There was Centro-matic. I was across town seeing the Mommyheads and then Nada Surf & Birdmonster were at the Great American.